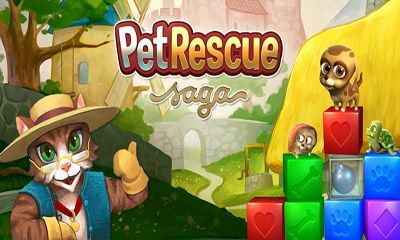 Pet Rescue Saga, from the makers of Candy Crush Saga & Farm Heroes Saga Match two or more blocks of the same color to clear the level and rescue the pets from the evil Pet Snatchers! Moves are limited so plan them carefully. Your puzzle skills will be tested with hours of block busting fun Take on this puzzling Saga alone or play with friends to see who can get the highest score Pet Rescue Saga is completely free to play but some in-game items such as extra moves or lives will require payment.